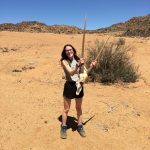 Jennifer Thomson, Bsc Zoology with Industrial Experience student, is coming towards the end of her placement year in South Africa. Its involved tough working hours, 45 degree heat, and little contact with friends and family back home. On the face of it, Jennifer’s’ placement sounds like an ordeal, however, it’s quite the opposite – she’s dreading coming home! 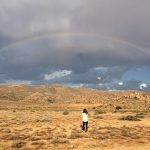 Here, discover just why these seven months in South Africa have been so fantastic and why she believes every student should seek a placement year during their studies. Hi! 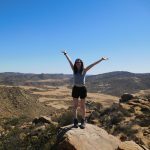 My name is Jenn, and I am a Zoology with industrial experience student at The University of Manchester, currently on placement here at the Succulent Karoo Research Station (SKRS), South Africa. Having been here for 7 months already, I am looking forward to spending my final few months in the most extreme and beautiful place I have visited so far. The SKRS is situated in the Northern Cape of South Africa, in the middle of a protected area called Goegap Nature Reserve. It is one of a few desert ecosystems to be classed as a renowned conservation hotspot, mainly due to its high diversity of reptiles and plants. Global warming is changing this fragile ecosystem, and at SKRS we are investigating how this affects several of the small mammal species we have in the reserve. 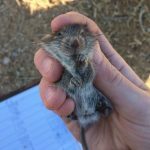 Our main aim is to study how small mammals adapt to extreme and changing environments, and examine causes of these adaptations. As a Zoology student, this project is really interesting to me, as we study the effects of environmental change on several biological levels: from social flexibility in behaviour, to different hormonal compositions from blood analyses. 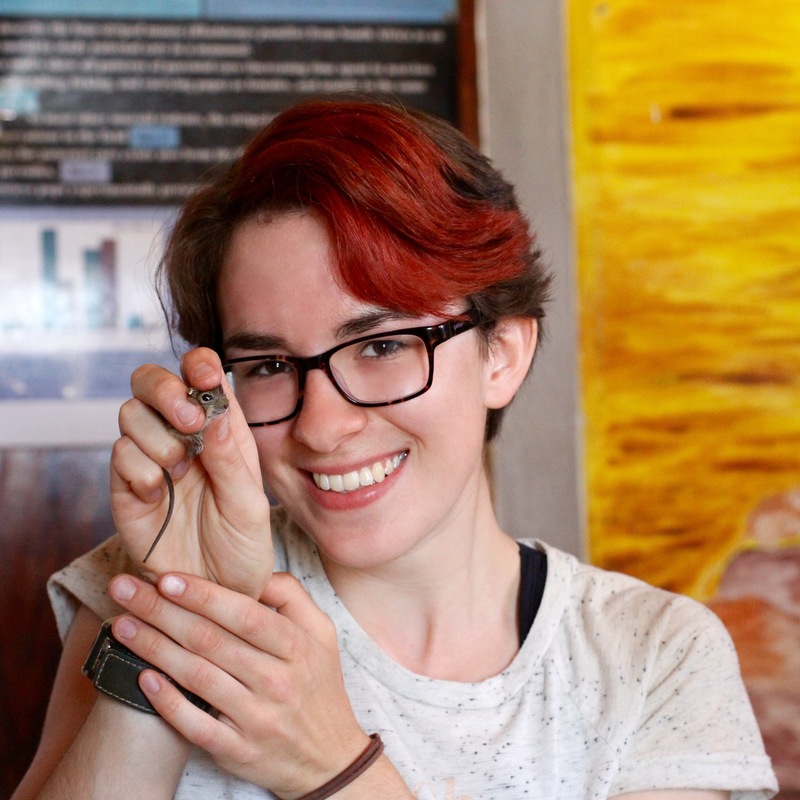 I have learnt how to conduct behavioural observations, plant surveys, radio-track, take blood samples, and how to trap and mark both juvenile and adult mice. As part of the placement year at Manchester, I have to conduct a piece of original research, and write a report on my findings. 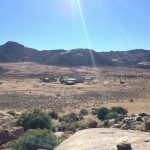 I am lucky enough to have been given the freedom and complete independence to establish my very own long-term monitoring study and field site – working with another small mammal called the bush Karoo rat. It will allow me to discover something which is as-yet unknown to science: the social organisation of these (actually really cute and fluffy) rats! For this, I learnt how to mark new individuals with metal ID tags, take tissue samples for DNA analyses, set up a trapping and observation schedule, and hopefully in the near future – learn how to attach small GPS data-loggers to a few individuals to gain a temporary picture of their home range and foraging habits. 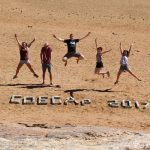 Working with such a small team at the research station means that you have chance to help out on everyone’s project – whether they are a student or postdoctoral researcher. 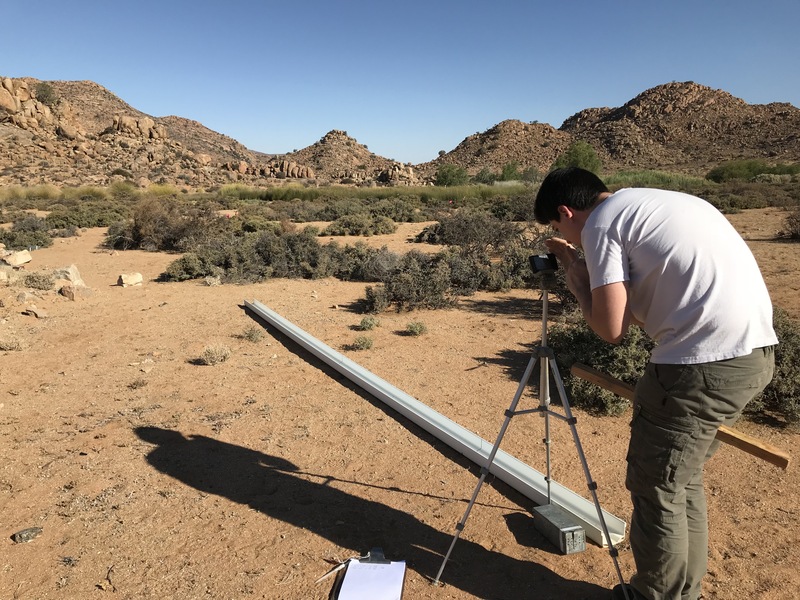 I have helped take part in mice basking data collection, plant surveys for extinction studies, and am now part of a master’s student project to examine specific physiological parameters of the bush Karoo rats – using my field site! Measuring Karoo rat sprint speed and their metabolic rates in the on-site respirometry lab we have are a few examples of new techniques I have the chance to learn. The days here are often long. We work from sunrise until after sunset (in the summer this means from 5am – 9pm!) and one can feel cut off from the outside world, due to the lack of communication, news, people, and ability to travel from the reserve, if you don’t have your own car. Africa has so many amazing places to explore, and it is ludicrous not to make the most of being here. 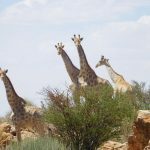 We once went on a day trip to Augrabies Falls National Park; we watched the waterfalls on the Namibian border and walked with a tower of giraffes in 45-degree heat. 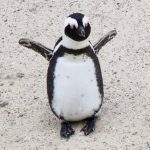 Over Christmas, I spent a few days in Cape Town, making friends with baby penguins, completing an abseil down Table Mountain, and visiting Nelson Mandela’s cell at Robben Island. I am also very excited to go travelling after I finish my placement here. I plan to go bungee-jumping off the edge of Victoria Falls before volunteering in Namibia for a few months as part of cheetah reintroduction and elephant monitoring initiatives. Like many students studying Zoology, I was very keen to not spend my entire year in a laboratory setting, and wanted to travel to a ‘cool’ place – i.e. as far away from Manchester as possible, in an extreme jungle or forest or Arctic tundra environment! This place is not only that, but has shaped me enormously – in terms of personal and scientific development. 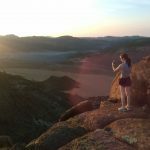 I have had experience of wild animal handling in the field, worked with large data sets and R statistical software, worked by myself to conduct original and new research, and have been able to survive in the desert without daily Facebook and Instagram updates! 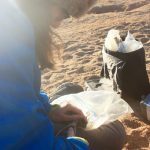 This experience is highly valued by employers, and is invaluable to get competitive graduate jobs, especially as many already ask for fieldwork in challenging environments. It has also helped me decide on the direction of research I want to specialise in for final year and beyond – having this time out was exceedingly useful for this. Although I am leaning towards eco-physiology/marine biology than the environmental research I am conducting in Africa, the skills I have acquired are transferable between disciplines. Indeed, I have just secured a self-arranged final year project with Holly Shiels examining the epigenetic consequences of climate change in catsharks. 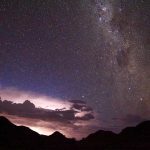 So – to all those looking for a challenging, unique and extremely worthwhile field placement in a remote area of Africa: do it! 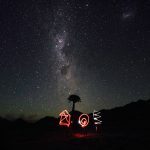 There is more information regarding the research we are currently conducting, station life itself, and how to apply to SKRS as a field assistant, on their website.. Of course, if you have any questions about this placement, or the placement year in general, then just get in touch (jennifer.thomson-4@student.manchester.ac.uk). Thanks for reading. And good luck to all prospective placement students – have the BEST time!